Okeanos will now roll at 10 a.m. (originally scheduled for 11 a.m.). 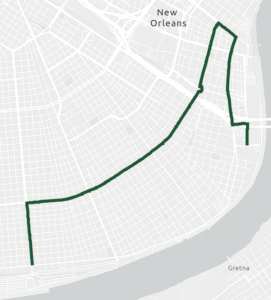 Mid-City will now roll at 11 a.m. or following Okeanos (originally scheduled for noon). 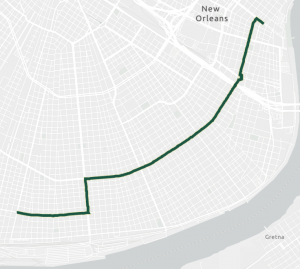 Thoth will now roll at 11 a.m. or following Mid-City (originally scheduled for noon). The National Weather Service reports that showers and thunderstorms are likely to impact the region Sunday, with the most severe impacts, including damaging winds and lightning, during the mid-afternoon to early evening hours. Rolling the daytime parades will help to clear the route ahead of the period when storms are most likely. 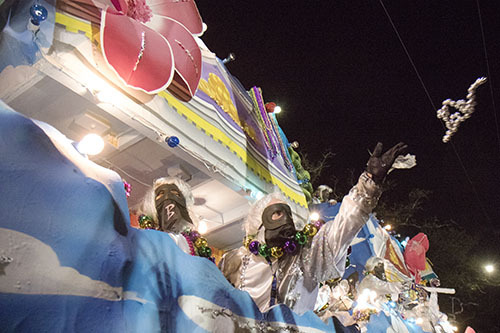 To receive real-time updates from the city, text MARDIGRAS to 888777. Parade goers are also encouraged to stay weather-aware along the route, have a way to receive emergency notifications, and be ready to seek shelter from storms if necessary. A cold front is expected to descend by the evening, and temperatures are expected to drop for Bacchus, with a low of around 46. The chance of rain tapers off to about 50 percent, according to the National Weather Service. It’s been 70 years since Okeanos was founded, and the krewe is celebrating its anniversary with its fans along the Uptown parade route today. In 1949, a group of downtown business leaders decided to bring a parade to St. Claude Avenue, and the result was Okeanos, named for the Greek god of the oceans and fertile valleys. The parade has more than 250 male and female riders and is sponsored by the Sonaeko (read it backwards) Club. Watch for throws with the 70th anniversary logo. Proceed on St. Charles Avenue around Lee Circle. END: Sheraton Hotel, 500 Canal St. The Krewe of Thoth has a generous spirit, seen not only in its throwing habits but in its parade route. 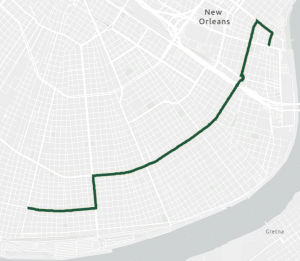 The group of men who founded the krewe in 1947 created an Uptown neighborhood route designed to pass in front of 14 institutions that care for people who were not able to attend parades. 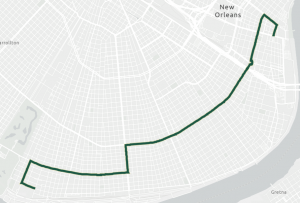 Today’s 1,600 riders on 50 floats still bring Carnival joy to some of the same health care institutions along its unique route, stretching all the way to Henry Clay and Tchoupitoulas. The theme this year is “Thoth Salutes the Greats.” Watch for guest Grand Marshal Amanda Shaw, who will play as she rides. Sunday’s only night parade was founded in 1968, but its roots stretch back two decades further to when restaurateur Owen Brennan Sr. created an out-of-towners’ krewe to allow tourists to experience Carnival like a privileged local. 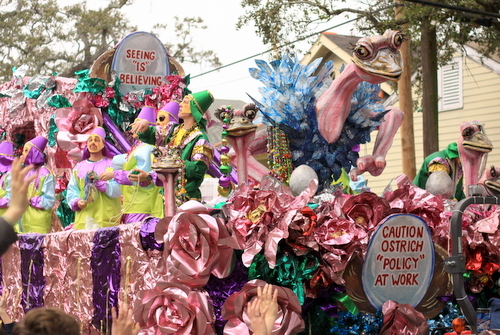 Brennan staged balls for the Krewe of Bacchus, and his descendants took the idea further, staging an extravagant parade. 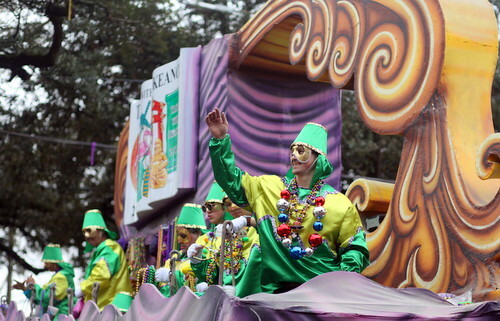 Now a superkrewe, Bacchus is known for its spectacular floats and its celebrity monarchs. 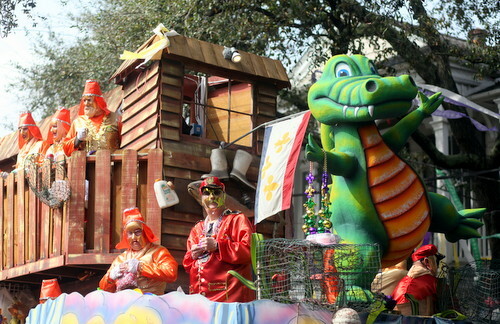 This year, actor Jensen Ackles, as Bacchus LI, will lead a parade with the theme “Starring Louisiana.” Floats will highlight movies and TV shows filmed in Hollywood South, and throws will include lighted clapperboards and Bacchus Oscars. Proceed on St. Charles around Lee Circle. END: Hall J, Ernest N. Morial Convention Center.